Participants at a session during the seminar. Citra, Sri Lanka’s first social innovation lab, in partnership with the Public Administration and Disaster Management Ministry and the Presidential Secretariat, co-developed and conducted a capability strengthening workshop on ‘Foresight and Innovation for Public Sector Excellence’. 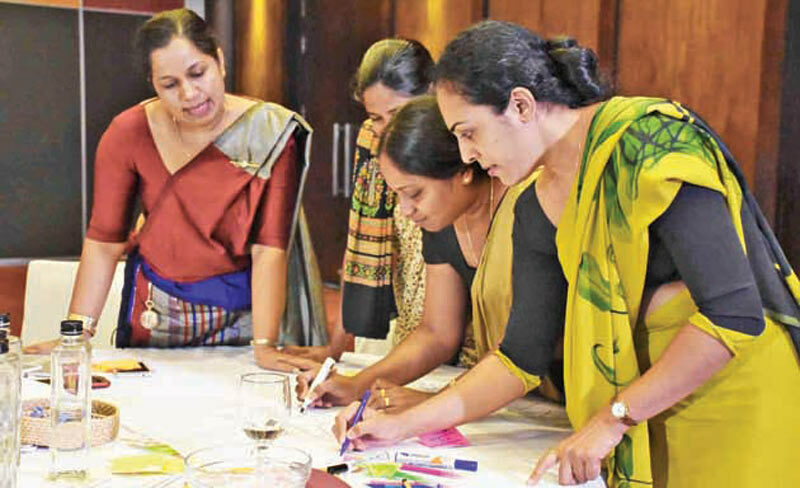 Citra, a joint initiative between the Science, Technology, and Research Ministry and the United Nations Development Programme (UNDP) in Sri Lanka, uses foresight and innovation tools to prototype and test development solutions to ensure they are agile and holistic. Its work is aligned to the national development priorities of the country and it works towards bringing in greater citizen engagement to the formulation of development solutions. The programme was conducted in three phases. The first phase, held in October 2018, consisted of a five-day residential training programme facilitated by international resource personnel for 33 public sector officials selected through a rigorous and competitive application process. In addition to gaining new skills and being exposed to global best practices, the programme also aimed to change mindsets of the participants and inspire them to become champions of innovation in the public sector of Sri Lanka. One highlight of this programme was the opportunity they received to interact closely with noteworthy public sector officials in our country, including Ministers such as Minister Ranjith Madduma Bandara, Minister Sagala Ratnayaka, and Deputy Minister Nalin Bandara, senior officials such as Mahinda Deshapriya and Austin Fernando, as well as some Ministry Secretaries and others, throughout the week. The second phase began after the week-long residential training, where the officials utilised the skills and tools they learnt to add value to their current portfolio. The participants all worked on a selected project which allowed them to innovate and find a solution to an existing challenge in their Department and/or Ministry. As the third and last stage, these officials were reconvened on January 30 and 31, 2019, for a two-day recap session to share their experiences and feedback during the three months. This was followed by a recognition awards ceremony where these officials were recognised for their perseverance and commitment to creating lasting impact from within the public sector.